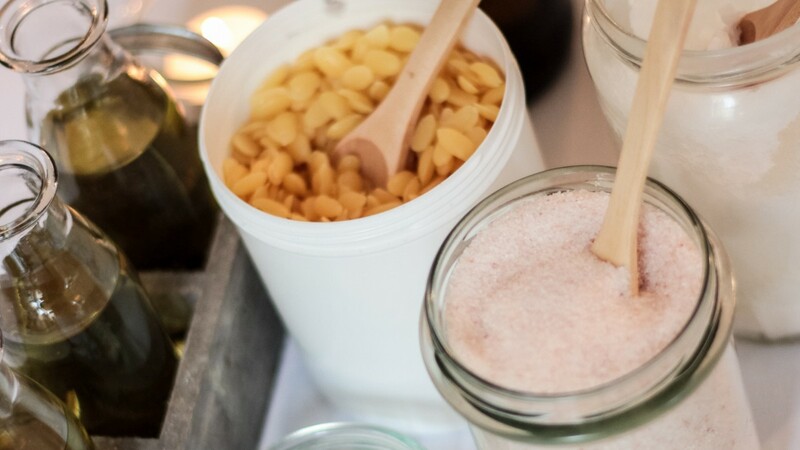 Organic skincare is everywhere - but did you know that making it yourself is also pretty awesome? Discover the secrets of earth’s best ingredients: during the workshop you will work with some of the finest oils, butters and essential oils used to enhance natural beauty for thousands of years. 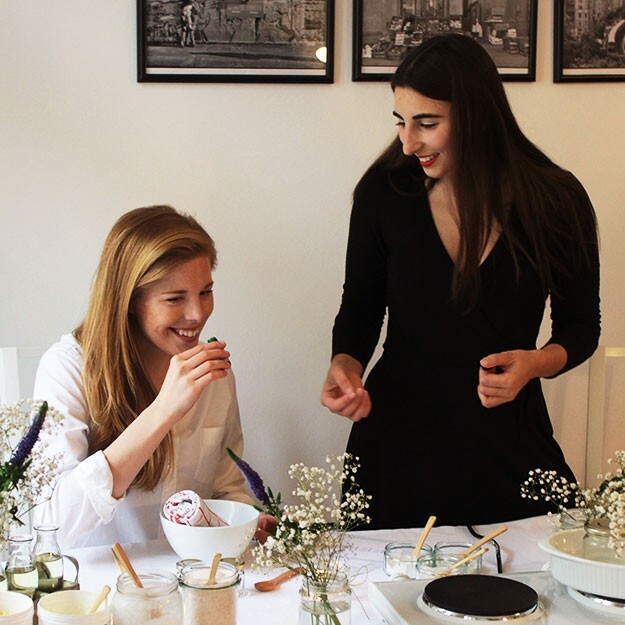 Inspired by some of the most luxurious organic cosmetic products on the market, you will learn how to make crafted skin & body treats and will leave with 4 personalised products. Learn the properties and benefits of the different ingredients and the basics about essential oil blending - you might discover your inner alchemist! The workshop will take place in a beautiful Berliner "Altbau" (typical pre-war building) in the heart of cozy Prenzlauer Berg. Meet Giovanna. Born and raised in Italy, she brings a whole lot of passion from her home with her that she likes to share with you in two different workshops. Since when she was a child, Sunday has always been Handmade Pasta day. Giovanna would go to her grandma´s place in the little village of Leporano and would start making kilos of pasta for the big Sunday meal with all the relatives. Now living in Berlin, she started to revive this tradition and is excited to invite you to her home for an epic pasta making (and eating) session. Besides pasta, Giovanna is enthusiastic about organic skincare and has spent countless evenings experimenting, testing and combining different ingredients and scents. Offering a personalized experience where you create your individual set of handcrafted beauty products, she hopes you are going to love it just as much as she does. Giovanna is a wonderful facilitator. She strikes a perfect balance between conveying important information to help you understand the technical elements of making your own skincare products, and letting you get hands-on and be creative. The workshop had a warm and social vibe. 10 out of 10! Would heartily recommend. Der Workshop war ein sehr guter Einstieg in das Thema selbstgemachte, biologisch-nachhaltige Hautpflege. Die Atmosphäre bei Giovanna war familiär und angenehmen. Auch sie selbst war äußerst sympathisch und kompetent. Sehr empfehlenswert! Es hat total viel Spass gemacht! Die Anzahl von Teilnehmer war richtig (mehr würde einfach zu viel sein), die Workshopleiterin war sehr nett und hat alles sorgfältig vorbereitet. Ich würde auf jedenfall noch einen Workshop besuchen. The atmosphere was amazing, Giovanna was super patient and dedicated a lot of attention to each person at the workshop. A lovely experience all together! Es hat uns so gut gefallen, das die Beschenkte und ich uns vorgenommen haben noch weitere Worshops bei Giovanna zu buchen. Ein sehr kurzweiliger Workshop mit viel Liebe vorbereitet und durchgeführt. Well prepared, excellent content, great host!